The human body’s mechanisms for staying cool on an extremely hot day are powerful. The human body’s mechanisms for staying warm on a very cold day aren’t nearly as effective. An understanding of how your body is affected by cold will make you more capable in cold environments and help you avoid cold-injuries. 5 Things You Should Know About How Cold Affects Your Body. 1. Vasoconstriction. When receptor cells in your skin detect cold, your body puts in place steps to minimise heat loss. One of these steps is to limit blood flow to the extremities of your arms and legs by narrowing the blood vessels. This constriction of the blood vessels is referred to as vasoconstriction. This reduces cooling of your body core by limiting both the amount of warm blood leaving your core and the amount of cooled blood returning to your core from the extremities. Limiting the blood flow in this way effectively increases your body core’s insulation by up to six times. Your body core can be defined as the part of you which contains your vital organs, including your brain; this comprises of your head and trunk down to just below your groin but excludes your arms and legs. Your body needs to maintain a core temperature of approximately 37oC (98.6oF). Vasoconstriction seems like a neat trick our bodies play to stay warm. Unfortunately, it has some serious downsides. As an outdoors person this reduction of blood flow to the hands and feet can have serious consequences. Your muscles need blood flow to function. Lack of blood flow to your hands will stop them working properly, leading to a loss of manual dexterity. Think about some of the bushcraft or survival skills you might employ – using a fire-flash, preparing tinder, carving feather-sticks or making a bow-drill set. How easy would they be if you could hardly move or feel your fingers? Consider basic camping skills such as putting up a tent, tying tarp knots, striking a match or operating a stove? What about zipping up a jacket? Even putting on gloves can become very difficult. In losing the use of your hands, you lose the ability to help yourself. In a wilderness setting, a loss of manual dexterity is potentially fatal. When travelling in frozen lands, to be extra safe you should carry a spare set of mittens – your life could depend on it. We’ve all had cold and slightly stiff hands on cold days, so how do you know if you are losing too much manual dexterity? 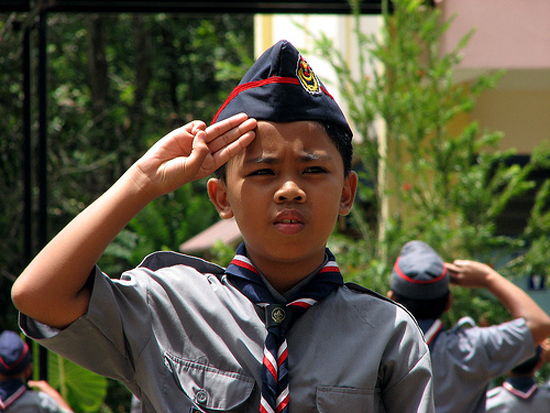 A good test is to check whether you can touch your finger and thumb together as in the Scout Salute. If you can’t do this, you are too cold. Being able to touch little finger and thumb together is a good indicator of manual dexterity. Photo: Exif. If you can’t touch your finger and thumb together or are finding it difficult, do something about it straight away. If your hands are stiff, it’s because your body is trying to keep blood in your core. It’s a signal that your whole body is cold, not just your hands. Treat it as a whole-body problem. Seek shelter from the wind, replace damp clothing with dry spares if possible, add insulating layers, put on gloves or mittens, put on a hat and a scarf or head-over, increase activity – swinging your arms in circles is good. The benefit to paying more attention to this is that keeping an eye on how warm your hands are and your manual dexterity helps you fend off hypothermia. 2. Shivering. When your body detects it is starting to cool down below its normal temperature, it fairly quickly starts to shiver. Shivering normally starts in the torso muscles and progresses from there. Shivers are basically involuntary muscle contractions and by generating heat they are intended to compensate for increased heat loss. Shivering can increase your metabolic rate (i.e. how fast you are burning energy) to a level between two- and six-times that of your normal, resting rate. Try shivering. Go on try it! It’s hard work and warms you up. As with cold hands or reduction in manual dexterity, shivering – even a little bit – is a sign you are not warm enough. Again, put layers on, have warm drinks, etc. 3. Increased need to urinate. Known in medical circles as ‘cold-induced diuresis’, there is no consensus on what causes it. Some propose it is a hormonal change due to cold-stress; some propose it is due to increased blood volume in the core due to vasoconstriction in the body’s periphery (see point 1 above). What no-one can deny, however, is that it happens. When you go out in the cold, you tend to need to pee more. If you are losing more fluid than normal, then you are at risk of becoming dehydrated. Dehydration diminishes your ability to do physical work. Reducing the amount of fluid in your blood makes it thicker and your body has to work harder to get blood all around your system. In turn this can increase the risk of cold injury (see below). All of these are detrimental effects for a wilderness traveller or for someone in a survival situation. So, even if you are peeing lots and don’t feel like adding more fluid to your system, make sure you drink plenty to compensate. 4. Heart rate and blood pressure: Initially as your body core temperature drops to around 35oC (95oF) your heart rate increases and so does your blood pressure. Later as your core temperature continues to drop, your body starts to shut down, with heart rate and blood pressure decreasing. Cardiac arrest typically occurs between body core temperatures of 28oC (82oF) and 25oC (77oF). This drop doesn’t seem like much when, for example in the boreal forest in winter, you might be operating in an environment 70oC (158oF) below your normal body core temperature. 5. Mental function. As your body core temperature drops, so eventually does your mental function. Even mild core cooling to temperatures in the range 34oC (93oF) to 36oC (97oF) will impair mental function. This translates into poor decision making, indecision, irrational behaviour, confusion and amnesia – all dangerous failings in a wilderness setting. These faults also significantly increase the risk of drowning if you are immersed in water. What Happens If I Fall Into Cold Water? The immediate response to immersion in cold water is a ‘gasp reflex’, with hyperventilation continuing for 1-2 minutes. This increases the risk of water entering your lungs and you drowning. If you don’t drown in the first couple of minutes, then you will be able to function for some time, depending on the temperature of the water. 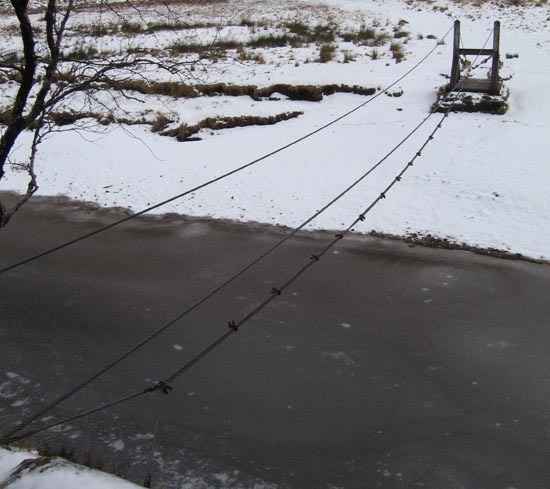 If you fall into fresh water, it will always be at least 0oC (32oF) because water freezes below this temperature. Initially, hypothermia is not your primary concern. Drowning is. A buoyancy aid or floating overall significantly increases your chances of survival. You can decrease the impact of the gasp reflex by entering water gradually if you have the option. You can also acclimatise yourself to an extent by regular exposure to cold water. Because water conducts heat 25 times faster than air, immersed in water you will lose heat around 25 times faster than you would in still air. Once your breathing has normalised after the first couple of minutes in the water, you will still be able to function. In water near to 0oC (32oF) you won’t have very long, between 2 and 10 minutes – enough time to get out if it’s possible. You still won’t be out of the woods (literally?) at this point though, particularly if the ambient temperature is low. This is the sort of emergency where having the means of lighting a fire on your person and having practised your fire-lighting skills could very well save your life. In an arctic environment, the necessity of carrying a ‘ditch kit’ of spare clothing in a dry bag becomes apparent when considering this scenario. With higher water temperatures you have progressively longer survival times. Still, the longer you are in the water, the lower the temperature of your body core will become, eventually resulting in a reduction of physical and mental capacity. Following immersion in cold water for periods of longer than 30 minutes, hypothermia is likely to become the primary obstacle to survival. Reports from accidents at sea suggest that, without special protective clothing, the probability of surviving longer than 1 or 2 hours in water colder than 5oC (41oF) is very low. On a more positive note, it is documented that people have survived in a 20oC (68oF) water for as long as 40 hours. Reviewing the realities of cold water immersion allows you to make a better risk assessment the next time you have to make a decision like whether to cross this ‘bridge’ in the upper reaches of Glen Nevis on a cold January day. Photo: Paul Kirtley. If you suffer from a freezing cold injury, basically you have frozen flesh. This is otherwise known as frostbite. Frostbite is usually a localised injury. Frostbite can be categorised as superficial or deep. Superficial frostbite is limited to the skin and the tissue just under the skin. The first symptoms of this are described as “a stinging, pricking pain” and the first signs are a pale area of skin, looking somewhat waxy, like a candle. Frostbite is most common in exposed skin, particularly superficial frostbite in the nose, cheeks and ears. Due to vasoconstriction lowering the temperature of the hands and feet, these extremities are also prone to frostbite. The priority in treating superficial frostbite is to stop it becoming a deep injury. Initial treatment in the field should be re-warming with body-heat from a warm part of the body. Armpits are ideal. Do not use external heat such as a fire. If it is your own hands that need rewarming, you can start by putting your hands in your own armpits. But there is a downside to not stuffing them in your buddy’s armpits first. It is likely that you are already cold at this point. Remember, cold hands indicate that your whole body is getting too cold (see vasoconstriction above). It is a whole-body problem and should be treated as such. Opening your clothing and putting cold hands on your skin will only cause more heat loss. Instead, more clothes should be put on. Warm drinks should be consumed. Activity should be undertaken to generate heat in the muscles. Re-warm your hands on your buddy’s skin. If it is your feet that need re-warming, then you definitely have to use someone else’s body warmth to re-warm them. As with hands, contact should be skin-to-skin. This will have a significant cooling effect on your buddy’s body. If there are more than two of you present, the others in your group should take turns to re-warm your feet. If, after 30 minutes of attempted re-warming, the area is still pale, waxy and numb, then the frostbite should be treated as deep rather than superficial. Deep frostbite casualties should be evacuated to hospital. As blisters appear after the flesh has been thawed (typically within 6-12 hours), do not burst them. The likelihood of frostbite isn’t just a function of the ambient temperature and duration of exposure to cold. It also depends on factors such as wind chill, air humidity and whether or not the skin is wet. The probability of sustaining frostbite is therefore more a function of the heat loss experienced by the exposed skin. If your hands come into contact with cold materials such as the outside of a sleeping bag at -35oC (-31oF) while trying to put it into a stuff-sac they can sustain frostbite within minutes (I’ve seen this happen). Skin coming into contact with cold metal can freeze on contact (I’ve also seen this happen). When filling the fuel tank of a snow machine or generator at 30 below (Celsius or Fahrenheit), super-cooled liquid petroleum products will cause instantaneous freezing if spilled on flesh (I’m thankful I’ve never seen this). Alcohol and antifreeze also pose a similar risk. By inhibiting free circulation of the blood, restrictive clothing could also increase your risk of frostbite. Your gloves should not be tight or fastened tightly, your boots should not be laced too tightly. Even the straps of a heavy back-pack could reduce blood flow to your arms. Non-freezing cold injuries occur without flesh freezing. In non-freezing cold injury (NFCI) wet, cold and lack of mobility in the affected area are contributing factors. The most common NFCIs are trenchfoot and chilblains. Trenchfoot typically occurs in the temperature range 0o-15oC (32o-59oF). Exposure of the feet to wet and cold is prolonged – at least 12 hours. This was first recognised as a distinct complaint during the First World War, where soldiers’ exposure to cold, wet, muddy ground conditions in the trenches frequently gave rise to the condition. Initially symptoms are numbness, tingling or a ‘pricking feeling’. At this stage the feet look waxy white and like they have been soaked in a bath for a long, long time, particularly on the soles. The feet can be painful to walk on and it may be that the casualty will need evacuation by stretcher if the injury progresses far enough. In outdoor activities, this condition tends to come about over a period of days, when there is continuous dampness in boots, and damp socks are not changed for dry ones. For those of us that spend a lot of time outdoors, the British summer of 2007 provided fertile ground for trench foot: with 358.5 mm (14.1 inches) of rain from the beginning of the summer to the end of August. The average temperature during the summer was 14.1oC (57.4oF). 2008 was only marginally better, again with over 310mm of rain and an average temperature of 14.1oC (57.4oF). I had no problems but I witnessed one case of trench foot in this time. In a wilderness setting, treatment of trenchfoot should be such that further cooling is prevented and that gentle re-warming is introduced. External warmth should not be applied. Dry socks, extra clothes and warm beverages are the order of the day. Even in its early stages this condition should not be ignored. Trenchfoot can quickly become debilitating and, in unfavourable circumstances, degenerate to horrific levels. Apologies if you are eating your lunch right now! Case of trench feet suffered by unidentified soldier. Prevention, of course, is better than cure. To avoid trenchfoot you should stay active, encouraging blood flow to the feet, keep your feet dry, air your boots when possible and change your socks regularly. Chilblains are tender, itchy and painful lesions in the skin that can occur after 1-5 hours in cold, wet conditions. While unpleasant to the sufferer, they are superficial and there are no lasting effects. Cold urticaria. Readers with decent plant knowledge will recognise Urtica dioicia as stinging nettle. Otherwise known as hives, urticaria is the name given to the type of rash you get from nettle stings. Cold urticaria is an itchy rash that can occur following exposure to the cold. Anaphylactic shock has occurred in extreme cases. Cold-induced bronchoconstriction. Exposure to cold air has been linked as a trigger for asthma-like symptoms in some people and is something to be aware of when working with others in cold environments. Treat stiff hands or shivering as a warning. An alarm bell should go off in your head. Treat the whole person. If you lose the use of your hands, you lose the ability to help yourself. Do everything you can to avoid this. Carry spare hand-wear. In cold environments drink more than you would do at home. If you fall into cold water, don’t panic! Even in really cold water you have some time before the life-threatening detrimental effects of hypothermia kick-in. Frostbite can be prevented by paying attention to the environmental conditions and to the principles of heat loss. 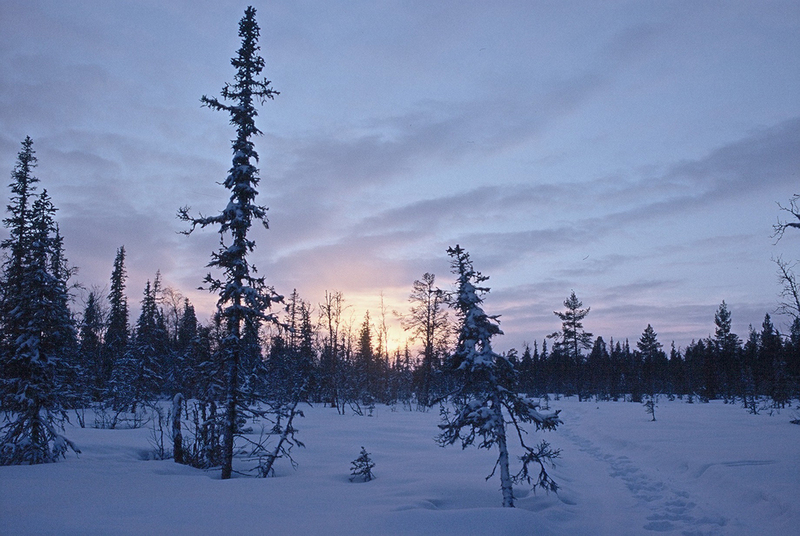 In sub-zero (Celsius) temperatures, skin contact with metals and liquid fuels must be avoided. Trenchfoot can be prevented by staying active, drying boots and changing socks on a regular basis. Biem, J., Koehncke, N., Classen, D., Dosman, J., 2003. 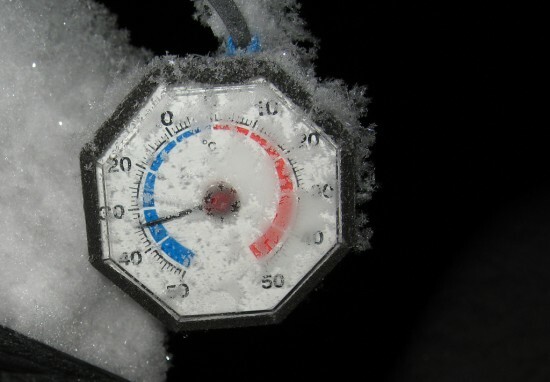 Out of the cold: management of hypothermia and frostbite. CMAJ. 2003; 168 (3). Brajkovic, D., Ducharme, M. B., Frim, J., 2001. Relationship between body heat content and finger temperature during cold exposure. J. Appl. Physiol. 90:2445-2452. Castellani, John W., Young, Andrew J., Ducharme, Michel B., Giesbrecht, Gordon G., Glickman, Ellen., Sallis, Robert E., 2006. Prevention of cold Injuries during exercise. Medicine & Science in Sports & Exercise: Volume 38 – Issue 11 – pp 2012-2029. Fox, H. R., Goldsmith, R., Kidd, D. J., 1961. Cutaneous vasomotor control in the human head, neck and upper chest. J. Physiol. (1962), 161, pp. 298-312. Froese, G., Burton, A. C., 1957. Heat losses from the human head. J. Appl Physiol 10: 235-241. Giesbrecht, G. G., Wilkerson, J. A., 2006. Hypothermia, Frostbite and other Cold Injuries. The Mountaineers Books, Seattle, WA. Granberg, PO., 1991. Human physiology under cold exposure. Arctic Med Res. 1991;50 Suppl 6:23-7. Granberg, PO., 1991. Freezing cold injury. Arctic Med Res. 1991;50 Suppl 6:76-9. Pandolf, Kent B., Burr, Robert E., 2001. Medical Aspects of Harsh Environments, Volume 1. Textbooks of Military Medicine. Washington, DC: Borden Institute, Office of the Surgeon General, US Army Medical Department. Wissler, Eugene H. 2003. Probability of survival during accidental immersion in cold water. Aviat Space Environ Med 2003; 74:47-55. Another excellent article, thoroughly researched and authoritative but with hint of humour to make it easy to read and digest. Thanks Paul, this is good stuff. I was amused to see myself in your Heat Loss piece, illustrating your point about effective waterproof clothing. I hope I don’t find myself illustrating frostbite or trenchfoot – with a bit of luck, and the benefit of your article, I never will! Hehe me too Steve. I was using the ‘watery’ picture as a positive example…. Glad you appreciated the articles. Thanks for a great item; I enjoyed it very much. Yet more great information, Thanks Paul. keep up the good work. Very good read, many thanks Paul. Articles like this make me appreciate the Internet so much more. Thanks a lot! I’ve got a question though. You pointed out that one shouldn’t use ‘external heat such as a fire’ for certain things. Why is this? What would happen if you did use an external heat source? Thanks for your comment. I’m glad to hear you found my article useful. Great article Paul. Thanks for posting.